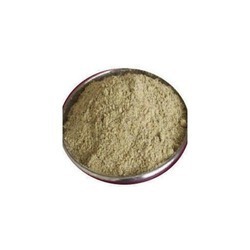 We are offering Jal Jeera Masala Powder to our clients. We have in store for our clients a wide range of Jaljira Masala, that is widely acclaimed for its exotic aroma, rich taste and longer shelf life. The jaljira masala offered by us is free from any kind of adulteration and absolutely safe to consume. This jaljira masala is packed in accordance to their weight, size and quality. - Add 1 tsp. of Satvam Jaljeera Masala to 1 glass of chilled water and stir well. - You may add lemon and fresh mint for extra refreshment. - Garnish with mint leaves, a slice of fresh lime or some salted boondi. Serve chilled and enjoy the refreshing drink. A mixture of herbs and edible salt including cumin and sea salt which softens the food and makes it easy to digest, aids secretion of saliva and gastric juice. Used in enhancing taste of chat & as a soft drink which aids in increasing appetite along with taste. We are involved in processing, exporting, distributing and supplying excellent quality Jaljeera Masala in Delhi, Delhi, India. Our offered Jaljeera Masala is widely appreciated by our clients who are situated all round the nation. We offer Jaljeera Masala at most affordable prices. 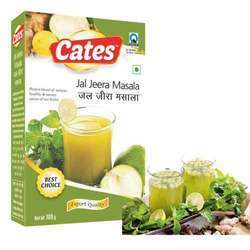 We are the manufacturers of Jal Jeera Masala.